Will Jane Austen’s Real Inspiration Please Stand Up? When I saw this article in the Telegraph linked on Twitter, I rolled my eyes a bit and prepared myself for silliness. We’ve had so much of this sort of thing: the Real Mr. Darcy, the Real Pemberley, etc., and it’s becoming tiresome, because so often it’s a bunch of hooey. All too often these things come from attention-seeking types and distressingly often from academics, whom one would expect to know better. But perhaps I’m expecting too much from academics. They don’t write fiction, for the most part, and I don’t think they really understand the source of inspiration for writers. I think it’s rare for writers, especially writers of Jane Austen’s genius, to be so literal about their inspiration. There wasn’t one man who inspired Mr. Darcy, or one house that inspired Pemberley (or Mansfield Park, for that matter). Writers get inspiration from all over—the littlest thing to the biggest—and most characters and places are amalgamations, used however we need them to fit the plot. I sometimes become impatient when overeager fans (and sometimes, yes, academics) fixate on one obscure item and turn it into some piece of great significance that yet has no real meaning in the larger scheme of the novel under discussion. It’s fine if you want to do that, but just realize it’s mostly in your head, and mostly important to you, and then becomes tiresome to the rest of us when five thousand Internet listicle sites pick it up like Moses brought it down from the mountain, and all our well-meaning friends send us links saying, “DID YOU SEE THIS?” and you have to be a killjoy and explain, no, that person is making stuff up. All that being said, it’s a shame I am going on this rant (which I’ve been meaning to do for a while) for this particular piece, because I think the academic in question here has some interesting ideas. The Telegraph, unsurprisingly, added the clickbait headline. Dr Clark, editor of The Literary Encyclopedia and specialist in early-19th century novels, writes: “Having discovered Elizabeth’s Chute’s relationship with the Comptons, we have a first hint of what might have prompted Austen to locate Mansfield Park at Castle Ashby, but we still don’t know why. He argues the key lies with Spencer Perceval, cousin of Lord Compton and the only British Prime Minister ever to have been assassinated. An active supporter of the abolitionist movement, the academic believes he is just the “heroic” figure to appeal to Austen after hearing about him in conversation with the Comptons. I know the role of slavery in Mansfield Park can be a fraught subject with Janeites, but of late I think it’s becoming more widely accepted that Austen was dropping a lot of hints and adding themes about slavery and abolition in MP, and new and interesting connections are being made all the time. Dr. Clark’s theory makes a lot of sense to me. I don’t think that necessarily means Castle Ashby = Mansfield Park, though. That sort of one on one comparison is crude and obvious—far too obvious for Austen. I like Dr. Clark’s theory, but I think any reference to Castle Ashby, or an attempt to get readers to think of it, was meant simply as a subtle way to lead readers to associate Mansfield Park, the house, with slavery. That leads us to the question, with all these hints and themes and connections about slavery, what exactly was Austen trying to say about the subject? I’m not sure she was trying to “say” anything specific. She was just making a lot of hints and allowing the reader to draw his or her own conclusions. And that’s where the fun starts with Jane Austen. Thanks, Cinthia. I hadn’t heard of Cottesbrook Hall, but it seems likely to have also inspired Jane. 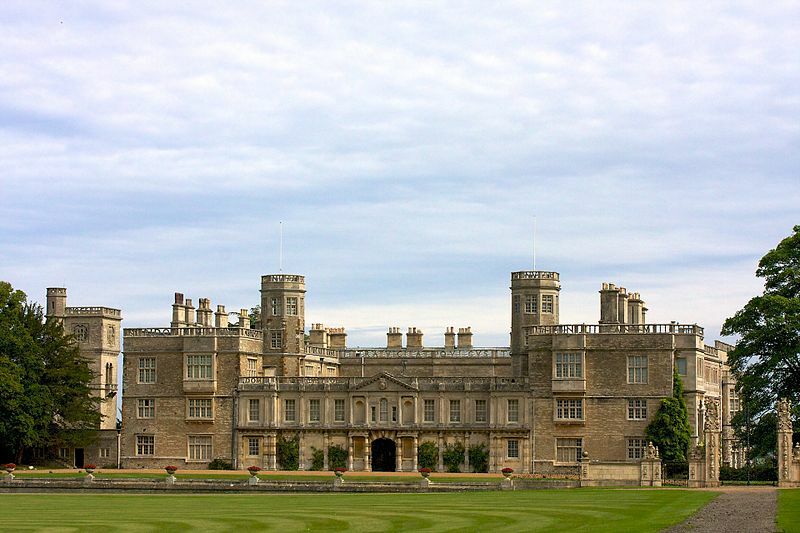 You are right about Castle Ashby being too grand to be a baronet’s home. I think any inspiration or hint towards Castle Ashby was meant subtly and symbolically, not literally. It is likely that Jane had the chapel at Stoneleigh in mind when she wrote about the chapel at Sotherton, but in that case I think she needed a chapel for the purposes of her story, to introduce the idea of Edmund taking orders to Mary Crawford, and she knew Stoneleigh and thought it would work. It’s not symbolic, and the place that inspired her is not that important. 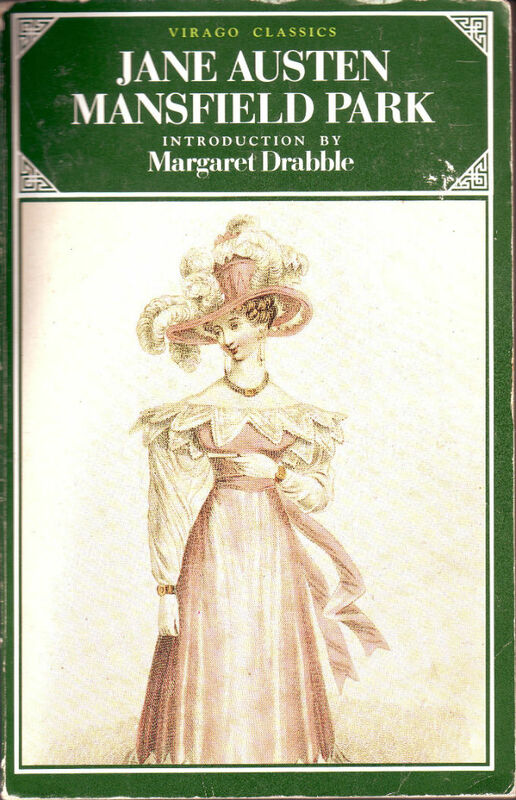 They are fun intellectual exercises to try to figure out her inspiration, but to call them “the real Pemberley” or “the real Mansfield Park” is going too far, in my opinion. You are welcome, Mags :-). Last year, the JASNA tour in England, devoted to MP, included a visit to Cottesbrooke Hall IIRC. And I still think it is more likely a source of inspiration than Castle Ashby. 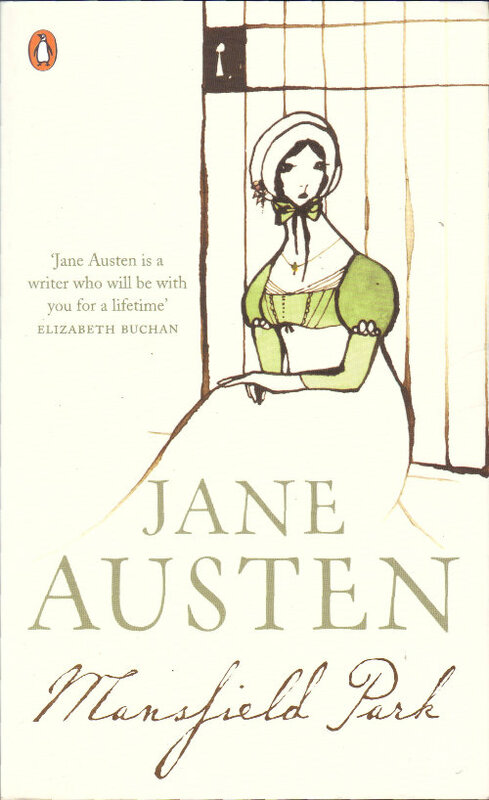 Now re-reading that entry, I notice that beside the closer connections (through Henry Austen), I had forgotten sir James’s opinion on MP was included in Austen’s collection of opinions of that novel. I can understand that some want to stress the issue of slavery in the novel and link it to Castle Ashby. Plus, another point against the castle is that it is too old in comparison to the modern building that Mansfield was supposed to be. So, though Clark’s paper might be interesting, I believe he has stretched the symbolic too far. In the material and literal, Cottesbrooke seems closer IMHO. We were half “so sick of Jane Austen’s Real Blah de Blah” and half “Actually what he’s saying is kind of interesting.” Read and make up your own mind! I have just read the full article in Country Life, it is interesting reading. Whilst I suspect that she didn’t have Castle Ashby in mind for Mansfield Park, the links via the Shute family to Northamptonshire are certainly very interesting. I’ve heard Robert Clark speak twice on Austen and Mansfield Park. The first time at an ASECS meeting, he gave a paper on Mansfield Park, the East Indies and the British (im)moral empire offered a convincing account of the felt presence of the global economy which was (from Antigua) supporting the Bertram property; he suggested the pro-abolitionist theme of Austen’s work is there to offset and justify the ruthless and cruel exploitation of the native people’s imperialism inflicts. He pointed out how involved George Austen was in Antigua, his sons in East India, with Henry’s banking business dependent on speculation. Another time he spoke briefly about Charles Paisley as a fierce pro-imperialist and seemed to offer the idea that if Austen admired Paisley she could be fervently Tory too. He did not mince words on the man’s record. He was inclined to be too literal at times (x=y) but gave another whole larger context to MP. I too think Darcy a composite figure as Pemberley is a composite house. This is how I feel about those articles! And books, and movies. 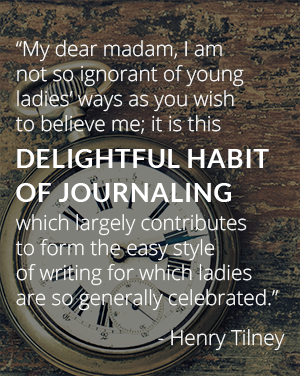 People are always dying to explain what Jane Austen ‘based’ her characters and places on, and like you, I feel doubt that they actually know anything of what a writer’s mind is like! When you write, you don’t take something that already is and put it in a book. You take the things you like, add the things you wish were real, and make it into exactly what suits your story.